Looking for a Halloween party near you? Look no further! 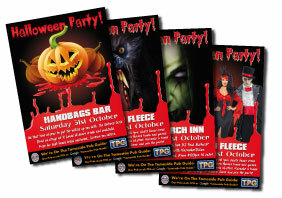 The Tameside Pub Halloween Party Guide has got one near you! Everything from freaky fancy dress to legendary live music, it's all here on Tamesides biggest Halloween party guide! LANDLORDS! Looking to advertise your Halloween Party? The Halloween Ad-Pack includes 4 posters, your event listed in the guide below plus loads of social media sdvertising through Our-Pub's Facebook & Twitter pages! Click HERE to view our 4 Halloween Poster Designs or to order your posters today!